Is your catering business starting an aggressive advertising campaign? 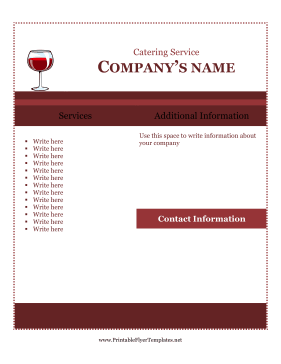 Make the most of every ad you print by using this catering service flyer. The sign features a glass of wine and is highly versatile with a general maroon theme. Your services can be included as bullet points, and your contact information listed conveniently the provided area.